The A.N.G.E.L. (All Nations Generating Equal Love) FOUNDATION IGO is a 501(A) international tax-exempt non-profit charitable foundation structured as a global international Inter-Governmental Organization (IGO) through Nevis, Registration No. F213. It is recognized as an International Sovereign Entity and has ecumenical recognition by the Holy See of the Americas and the Old Catholic Church. The A.N.G.E.L. Foundation has United Nations (UN) and United Nations Department of Economics and Social Affairs, (UN-DESA) recognition and accreditation with membership status of an International Foundation, No. 659886. The A.N.G.E.L. Inter-Governmental Organization (IGO) has United Nations (UN) and United Nations Department of Economic and Social Affairs (UN-DESA), recognition and accreditation with membership status of an International Inter-Governmental Organization (IGO), No. 659109. The A.N.G.E.L. Inter-Governmental Organization has Bilateral Accession documents signed, sealed, and deposited with the United Nations by the World Humanity Commission (WHC) IGO, the International Commission of Diplomatic Relations Human Rights and Peace (ICDRHRP) IGO, the International Human Rights Council (IHRC) – IGO, and; the Council of Parliament Organization (CIPO) IGO. Under the UN Convention on Jurisdictional Immunities of States and their Property, an intergovernmental organization (IGO) constitutes the same status as a Member State, it is authorized to perform acts “in the exercise of sovereign authority” of its constituent Member States jointly, and in cooperation, and is thus defined as a “State” possessing sovereign statehood in its own right (Article 2.1(b)(iii)), thereby possessing the same full jurisdictional immunity as any nation State (Article 5). Therefore, all other UN conventions and international law determining the rights, sovereignty, privileges, and immunities of States fully and equally apply to an intergovernmental organization (IGO). A.N.G.E.L. has an international scope with outposts managed by Country Representatives, Directors, and ANGEL Ambassadors. Together, they will collaborate their efforts around the world to deal with specific issues in various countries. A.N.G.E.L. serves a dual component, one for operational projects, and the other, for advocacy initiatives for working together within individual countries. Translate this website to your language click here. 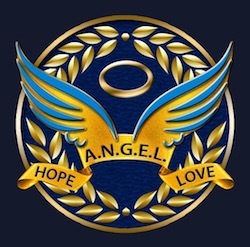 The ANGEL Foundation supports the ANGEL Inter-Governmental Organization, but not its not political; it is spiritual but not religious. It promotes leadership, without control; international cooperation, without global governance; humanitarian relief, without conditions or dependence; charitable support, without undue influence. The Holy Order of Protection and Education for Women, Children and Families.